Good intentions may do as much harm as malevolence if they lack understanding. For the past week, my sole professional focus has been on raising public awareness about the problem of canine obesity. The Varsity Pets IndieGoGo campaign to stop the canine obesity epidemic is well underway and off to a great start. And I’ve been working hard to ensure that the campaign succeeds. One fact you just can’t escape when trying to raise awareness about canine obesity is that a fundamental misunderstanding about what a dog’s body should look like is at the very heart of the epidemic. Far too many people — APOP estimates that it’s as much as 42% of dog owners — simply don’t know what their dog’s body should look like. As you can see, it uses both textual descriptions of key body parts and silhouette images to help you assign your dog to one of nine different body condition categories. 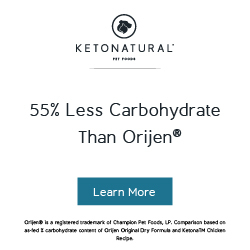 And each category includes an estimate of your dog’s overall body fat percentage (BFP), as well as a qualitative conclusion about what that BFP means for your dog — “underfat,” “fit,” etc. The studies upon which the inforgraphic is based are cited at the bottom of the page. Now, a word or two about what this infographic can and cannot tell you. 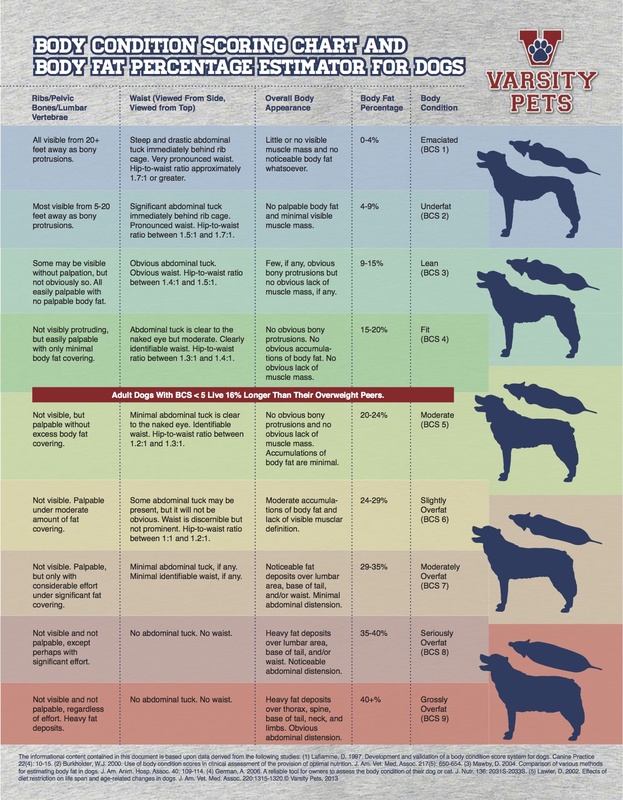 As you can see, we know that keeping your dog “above” the red line is likely to extend it’s life by several years. That fact was established by the 2002 lifelong study of Labrador Retriever litter mates. But beyond that, things get a little hazier. Precisely how much (or, more appropriately, how little) adipose tissue should be in your dog’s body if you want it to live a long and happy life has not yet been proven by modern scientific methods. Which is a pretty remarkable fact when you consider how conclusively folks — both laypeople and vets — tend to talk about what a dog’s body should look like. I believe there’s a strong case to be made that an optimally-healthy dog should have very, very little fat in it’s body. But it’s a case based primarily on theory and research involving non-canine subjects. And I’ve gotta save that in-depth explanation for another time — I just don’t have time while our fundraising campaign is still in full-gear. For now, you can feel very confident that the BFP numbers associated with each body condition category are accurate. Those numbers come straight out of the data presented in the cited studies. And you can feel confident that getting your dog above the red line is likely to extend its life. Beyond that, whether you think your dog should be a “1,” “2,” “3,” or “4” is going to depend on what you know or believe about the biochemistry of adiposity. So, for now, feel free to put this baby to use with your pup or share it with any of your friends who need a little prodding in order to get their own dogs above the red line (after all, APOP estimates that the majority of dogs in the country fall below the red line).